Marguerite’s parents are genius physicists that created the Firebug. This device allows the wearer to travel through different universes. After her father is killed Marguerite uses the Firebird to follow his killer in to alternate universes. The problem is the killer might just be her soul mate. If you’re like me then I’ve probably already lost you. Whenever I see alternate universes or any kind of science I’m usually ready to put the book back on the shelf. But Gray explains everything very simply and A Thousand Pieces of You doesn’t read like a sci-fi novel it reads like a romance. My favorite thing about A Thousand Pieces of You was the ever changing setting. Because Marguerite is universe jumping the settings included a futuristic London, a Romanov-esque Russia, and a submarine. I was especially fond of the Russian setting which felt both romantic and threatening. Part of me enjoyed the political intrigue and the other part just loved the fancy balls. I liked the relationship between Marguerite, Paul, and Theo. Paul and Theo are Marguerite’s parent’s grad students who basically live at her house. I liked that Paul and Theo thought of each other as brothers. But I didn’t like when this friendship started creeping in to love triangle territory, especially because I wasn’t really feeling the love and I don’t think Marguerite was either. 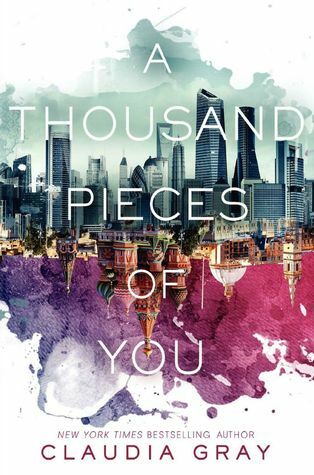 Overall, A Thousand Pieces of You was a fun read. The changing setting made the novel feel very quick paced and I was always interested to see where the Firebird would take Marguerite next. I’m definitely excited to continue this new series. I like parallel universes as long as the author doesn't try to explain it using technical terms. Then my eyes glaze over and I stop caring. I have read this book and personally love it. It's easy to read, Gray didn't go too deep into the science so it still makes sense, and the characters were well done. I loved the idea, it was so original!